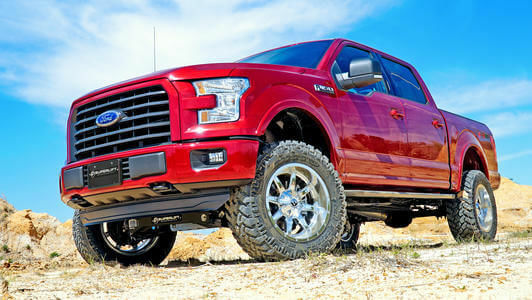 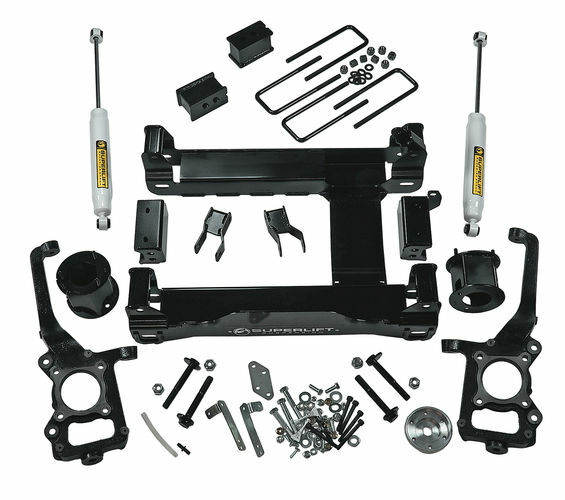 This is a complete replacement knuckle style suspension lift kit for the 2015 -2019 Ford F-150 4wd; providing 4.5” of lift height. 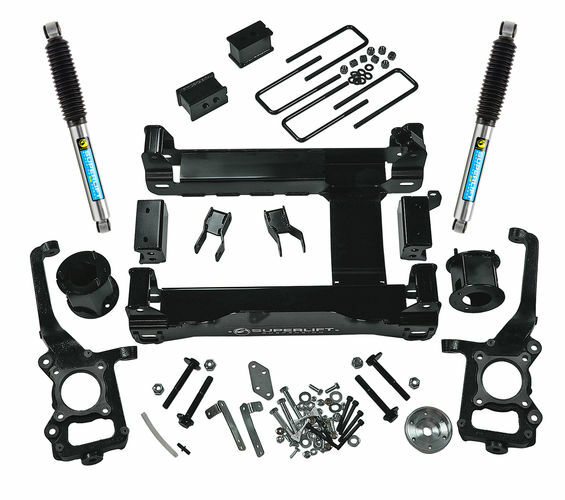 Includes fabricated rear lift blocks and rear Superlift shock absorbers or rear 5100 Series Bilstein shock absorbers. 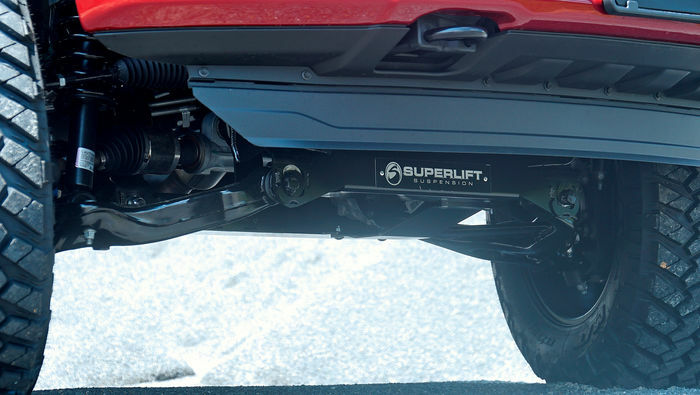 Superlift shocks are twin tube, velocity sensitive hydraulic shocks. 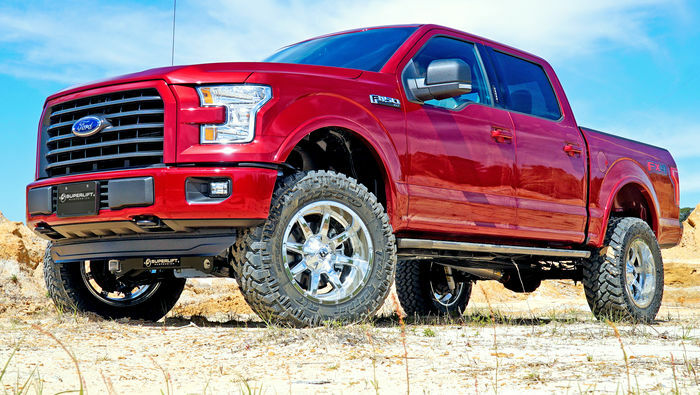 Bilstein shocks are a mono-tube gas pressurized shock. 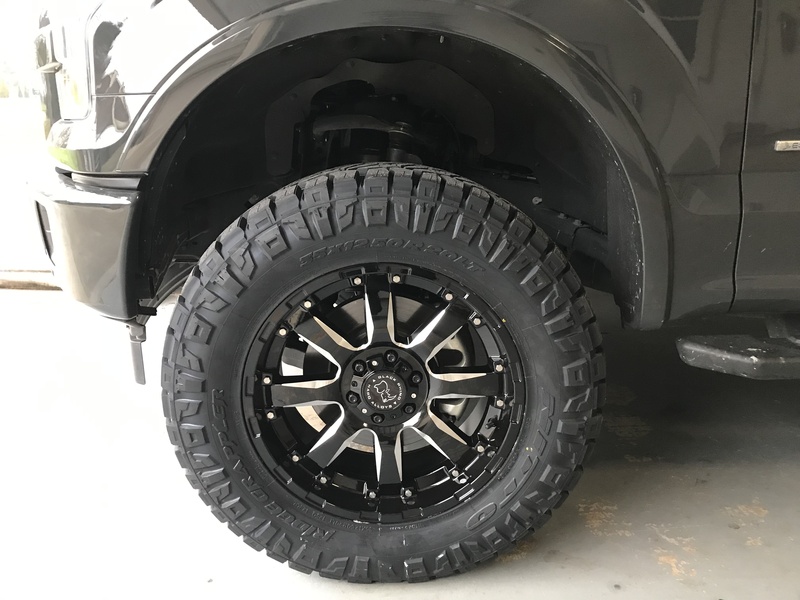 The Superlift shocks are coated with a white paint; the Bilstein shocks are a brushed steel body with a nickel and clear zinc finish. 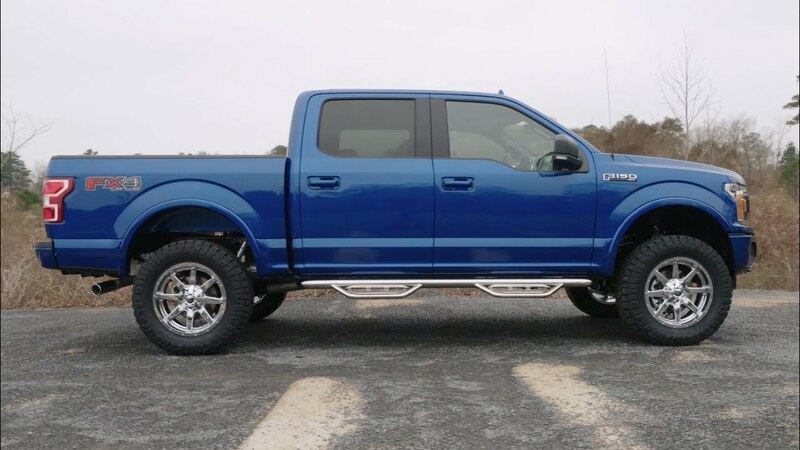 Bilstein shocks are more tuned for the application and offer more precise valving.